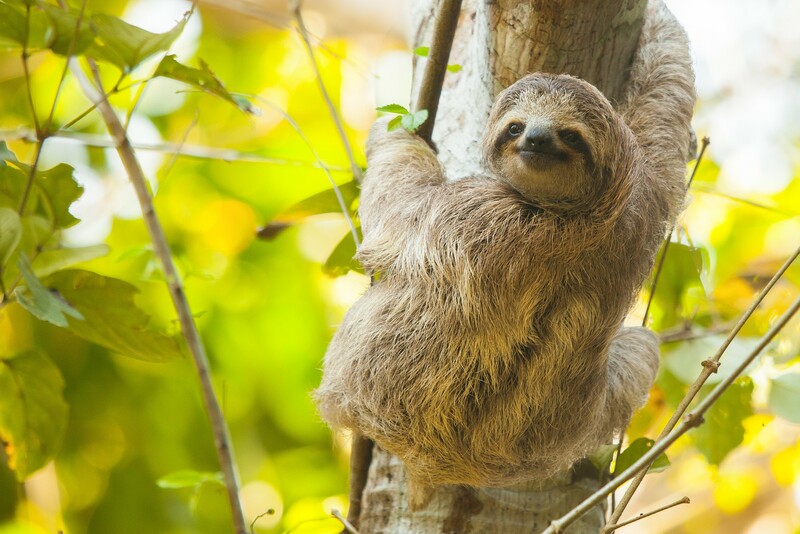 If seeing sloths and monkeys top the list of things you want to see while you are in Costa Rica, then this is the tour for you!! 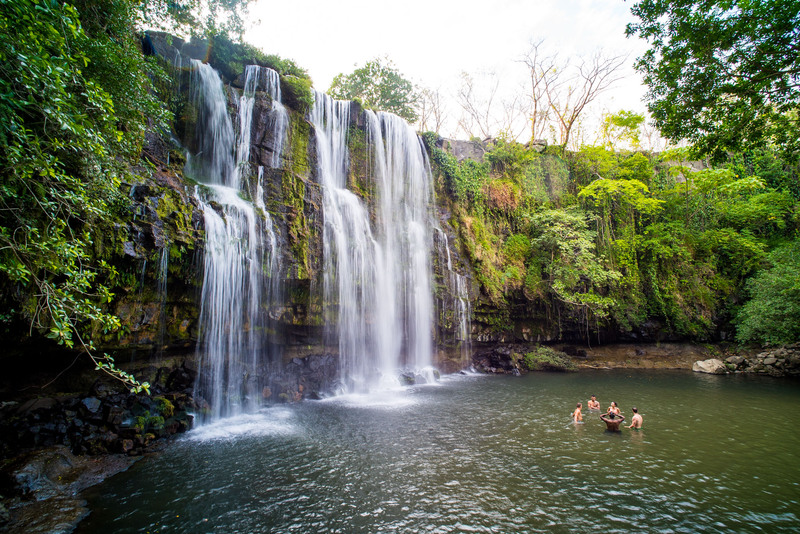 Combine this with a visit to the Guanacaste province’s most stunning waterfall and it is a Pura Vida Experience. After a short hike to the waterfall, you will head north to look for sloths, and there is a pretty good chance you will see some of the beautiful blue jeans frogs, ruby-eyed tree frogs and glass frogs, and you will be glad you will have a local naturalist guide help you spot them. 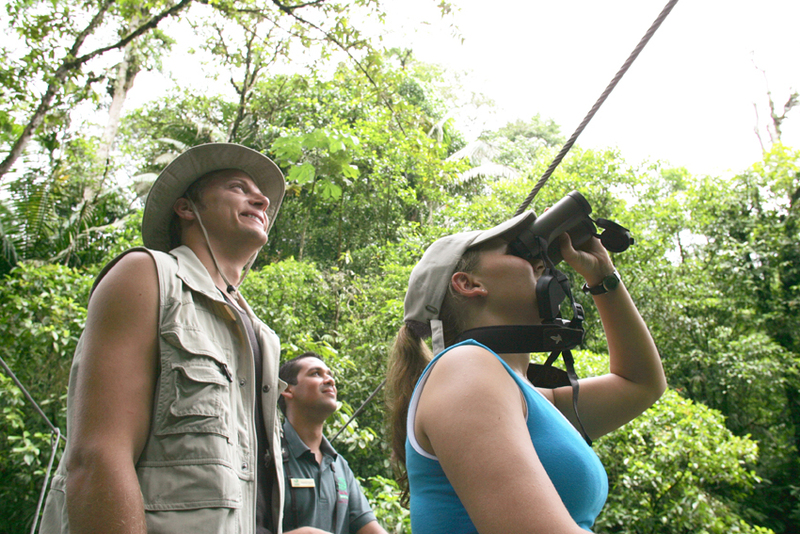 Your guide will also share fun facts about Costa Rica while looking for monkeys, toucans, birds and other animals are some of the sights you might also be treated to on this tour. You will be picked up by a naturalist, English-speaking guide in a private vehicle at your Guanacaste Beach hotel* for a day of pure Costa Rican natural wonders. After an easy drive that takes you along the outskirts of Liberia, the capital city of Guanacaste, you will be greeted by rolling hills and wide-open spaces. You will enjoy a wonderful short hike that takes you to the pool where the wide, stunning Llanos de Cortez spills into a refreshingly large pool. You will definitely want to take photos at this gorgeous spot! Stop along the way to relax, stretch and enjoy a delicious, typical “Tico” lunch, served hot with a refreshing fruit drink. From here you will continue north on the Pan American highway and into the dense, lush hills that are home to sloths, monkeys. Blue Jean dart frogs and other colorful frogs like to hang out near the river banks, and you and your guide will have ample time to search for these natural wonders, because this unspoiled area is filled with wildlife, birds and plants. VALUE — Ask our agents about adding a float trip down the Corobici River for only $30 per person! !